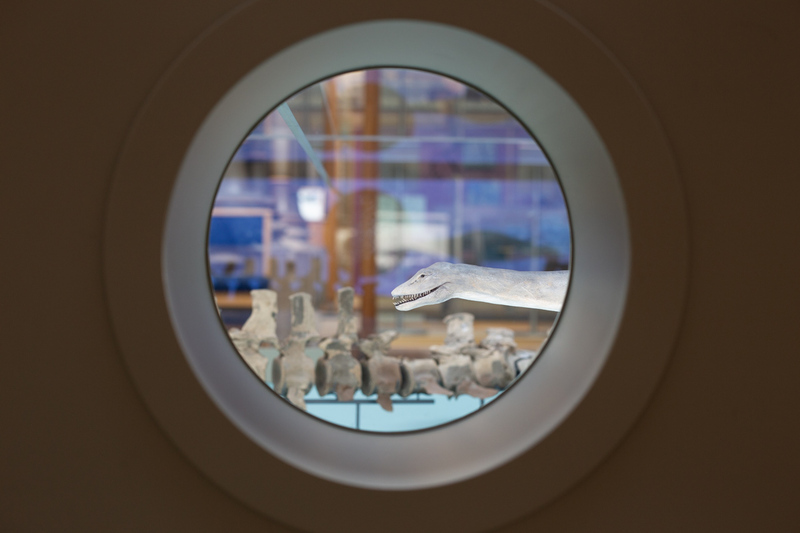 Our brand new permanent display features two large plesiosaur skeletons. These extinct marine reptiles swam in the warm seas of the Jurassic Period, 165 million years ago, in the area that is now Britain. Our two large plesiosaur skeletons on display in the Museum. 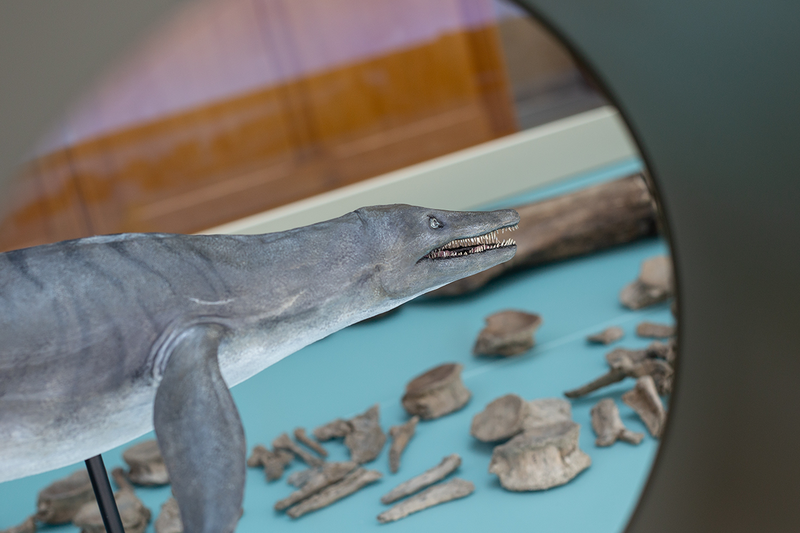 The long-necked plesiosaur on display in the Museum was discovered near Peterborough in 2014. It is around 165 million years old. 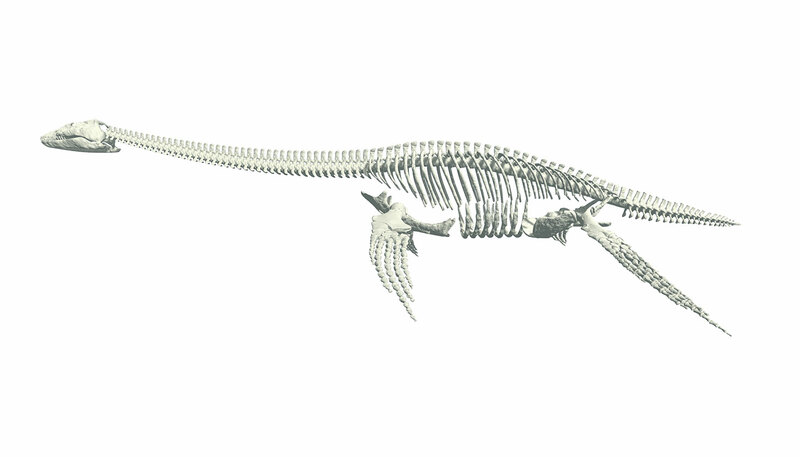 Despite the large number of vertebrae, the plesiosaur’s neck was unlikely to have been very flexible. 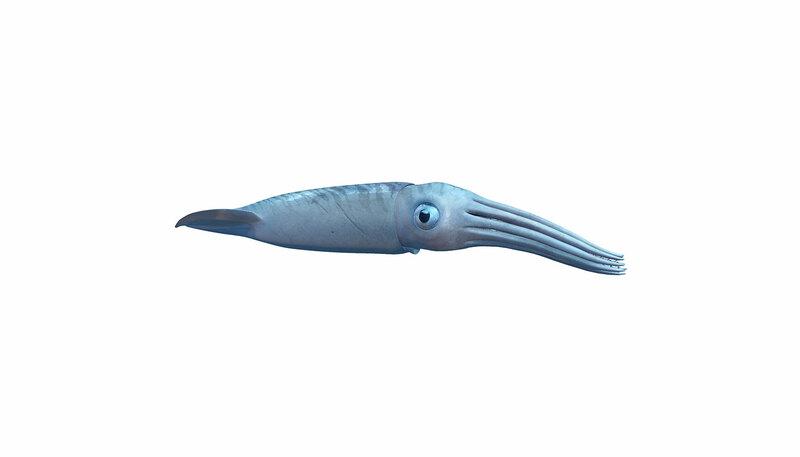 Belemnites, close relatives of the squid, were very common in Jurassic seas and were prey for marine reptiles, including plesiosaurs. 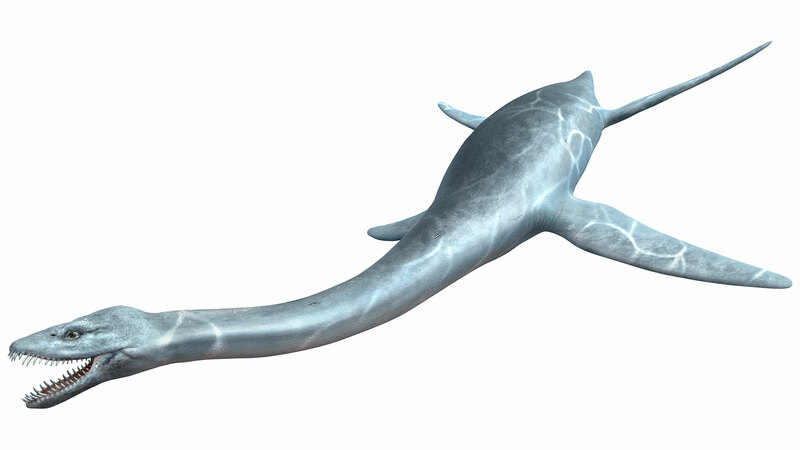 This short-necked, large-headed plesiosaur is known as a pliosaur. The one seen in the Out of the Deep display was found near the village of Yarnton, Oxfordshire. The two skeletons on display are large, impressive and scientifically valuable. The long-necked plesiosaur, uncovered in a quarry near Peterborough in 2014, is on display for the first time since its discovery. The short-necked plesiosaur, also known as a pliosaur, was found near the village of Yarnton, just 8km away from the Museum. They are both excellent examples of largely complete fossils, which add to the scientific understanding of plesiosaurs and life in the Jurassic seas. 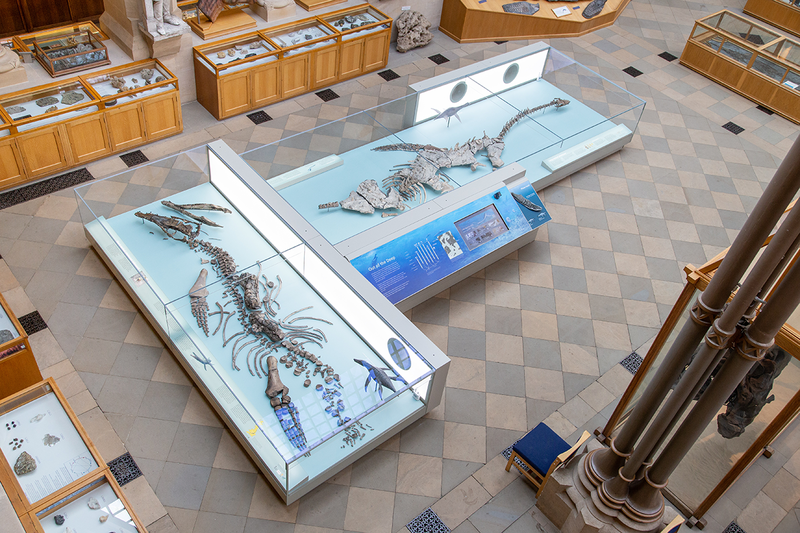 Out of the Deep can be found in the south aisle of the Museum, with displays of other extinct reptiles, such as ichthyosaurs and dinosaurs. Alongside the creatures themselves, you can hear from those involved in the discovery, excavation and study of the fossils. Generously supported by DCMS/Wolfson Museums and Galleries Improvement Fund; FCC Community Action Fund, administered by WREN; Forterra and individual donors.